I’m not a surfer, but as someone who was almost born on the beach, I’ve always been fascinated by the sport, and I became even more so a few years ago after reading Susan Casey’s book The Wave, and seeing the movie Chasing Mavericks. I have fond memories of watching the surfers in Santa Cruz and Half Moon Bay, California. 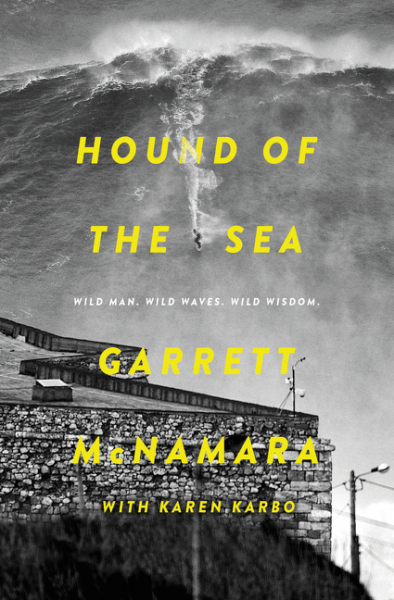 Therefore, when I had the chance to read Hound of the Sea, I jumped at the chance. I spent a couple of lovely, chilly afternoons immersed – even submerged – in GMac’s story. 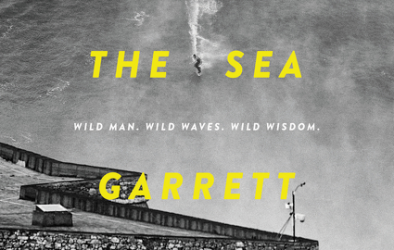 Not only were the details about surfing fascinating, but his self-analysis of the part of his psyche that drives him to continue raising the difficulty level of his chosen sport. At times, I felt like I was right there on the board with him, and I would not have been surprised if I had looked up from a chapter to find my hair wet or crusted with salt. At other times I felt his frustration at being out of the water because of injury, or some other circumstance. As is often the case when I’m reviewing a memoir or (auto)biography, I find myself having to separate my critique of the actual text from my opinion of the person. In this case, I found the book to be well-written and interesting, and I believe even people with zero knowledge of surfing would find it a compelling and informative read. As well, McNamara as a person is the kind of guy I’d love to sit down and share a pot of tea with, because the whole mindset of pushing to be the best at something intrigues me. Goes well with grilled sea bass wrapped in seaweed and coconut-infused rice.